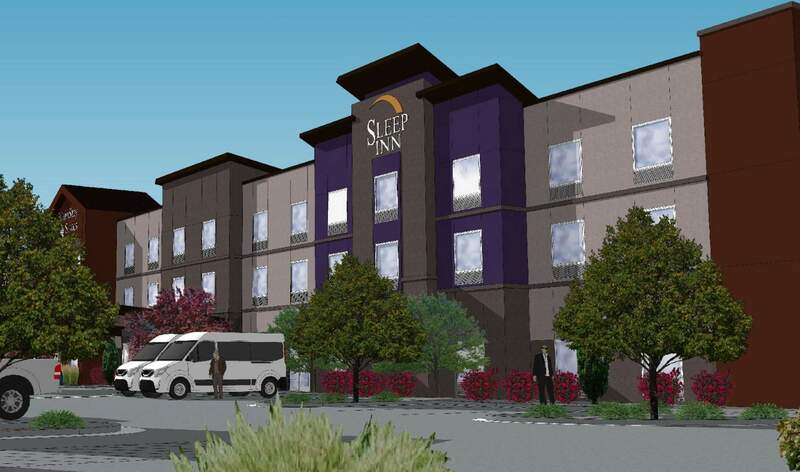 A new Sleep Inn and a MainStay Suites is proposed to be built between Home Depot and Walmart. The hotels are expected to share a building and will be locally owned. A medical building is also expected to share a parking lot with the hotels. Two three-story buildings are proposed to be built along Escalante Drive between Home Depot and Walmart. Two hotels are expected to be housed in one of the buildings, with medical offices in the other. Two hotels and a medical building are proposed along Escalante Drive between Home Depot and Walmart. The city’s Design Review Board approved the project on Wednesday after offering the architects feedback on the design. The project will go before Durango Planning Commission this month and construction could start in late summer or early fall, owner Luke Albert said. He is working with his father, Charlie Albert, to develop two buildings that will share a parking lot. A MainStay Suites and a Sleep Inn are planned to share a three-story building with 82 rooms. The hotels will share a lobby, breakfast space and pool, however, the rooms on either side of the building will be distinctly different, Luke Albert said. He described it as a fairly new concept in the hotel industry. He expects the hotel will offer lower prices than some of the other new hotels that have come to town. Design Review Board members asked developers to add a plaza that would be a focal point of the project to comply with city code. “It needs to be central. It needs to be significant. It needs to be visible,” Board Member Tom Caver said. The board also wanted the roofline above the building’s front door to be redesigned. Board members found it lacking when compared to the other two major architectural features on the roof where the signs for the hotels will be installed. The three-story medical building planned for the northeast corner of the site is expected to house a variety of different medical services, similar to Horse Gulch Medical Campus, Charlie Albert said. Dr. Moss Fenberg is working with Charlie Albert to develop the building and he expects it will appeal to physicians and medical specialists because it is between Mercy Regional Medical Center and Animas Surgical Hospital, it is close to the Animas River Trail and there is a general shortage of medical office space in town.